Playabilities is a multi-disciplinary pediatric occupational, physical, and speech therapy clinic located in Leawood, Kansas. We provide personalized, intensive, and client-centered therapy services for children with various neurodevelopmental disabilities including developmental delays, autism, and sensory processing disorder. We provide a relaxed, yet professional work environment comprised of a collection of highly motivated, self-driven therapists who feed off of each other’s love for their job and compassion for helping our families. The culture of our clinic is service-oriented, and our highest objective is providing the best possible treatment and care for our clients, every step of the way. Kelly holds a Master’s degree from the University of Missouri’s Occupational Therapy Program in Columbia, Missouri. She is a licensed and registered occupational therapist in both Kansas and Missouri. Kelly is board certified in pediatric occupational therapy through the national board for certification in OT. Her areas of expertise include relationship-based therapy and treatment of children with sensory processing disorders and neurodevelopmental disabilities. Kelly has completed advanced training in specialty areas including sensory processing disorder (SPD), constraint-induced movement therapy, splinting, Interactive Metronome, DIR/floortime (play-based therapy), Neurodevelopmental Therapy (NDT), vision rehabilitation, and feeding difficulties. She has advanced certification in evaluating and treating children with Sensory Processing Disorders. She participated in SPD mentorship training level 1 (August 2014) and level 2 (December 2015) at the STAR center in Denver, Colorado under Dr. Lucy Jane Miller (author of Sensational Kids) and Dr. Sarah Schoen. Kelly holds certification for being trained in administering the ADOS (Autism Diagnostic Observation Schedule) through the Thompson Center for Neurological Disorders in January of 2017. Kelly’s work experiences have been across hospitals, schools, outpatient rehabilitation clinics, and most recently private practice. She is the founder and co-owner of playABILITIES for sensational kids. Her passion is to provide comprehensive, individualized, and relationship-based therapy services, education, and support to the families and children that she serves. She feels extremely lucky to be building a knowledgeable, passionate team of therapists at playABILITIES who thrive on collaboration with each other and each have their own areas of strength and expertise to contribute to playABILITIES. Kelly has one daughter, named Lily, who was born at 32 weeks gestation in March of 2017. She has learned the value of trust that it takes parents when seeking help with their children from her own experiences of being in the NICU with her daughter. Kelly and her husband, Jeremiah, enjoy spending time outdoors, playing with Lily, and hanging out with family and friends. Jeremiah began working with Playabilities as he collaborated with his wife, Kelly, on growing the clinic and expanding services. With finance and real estate degrees from the University of Missouri-Columbia, Jeremiah spends his time on the business aspects of Playabilities looking for ways to improve upon the client experience. Jeremiah gets the most enjoyment working with a collection of people dedicated towards improving the lives of their clients and, of course, eavesdropping on all hilarious things that the kids say during treatment sessions. If he is not seen around the clinic, he can be found working at MCR Companies where he is a co-owner. Jeannie has been in the medical field since graduating from The University of Kansas with her bachelor’s degree in psychology. Jeannie brings with her several years of experience as a Billing and Insurance Coordinator. With a passion for seeing kids thrive the transition to pediatrics was a welcome change. Jeannie began working with Playabilities in 2016 as the Office Manager. After a move took her family to Seattle, Jeannie transitioned to the role of the Revenue Cycle Manager. Jeannie oversees all of the billing and insurance claims within our clinic. Jeannie grew up in Northern California and has a love of the ocean, every trip home you can expect to find her at the beach for the majority of her visit. In her free-time Jeannie enjoys traveling with her husband, interior decorating, reading just about anything she can get her hands on, hiking, exploring Seattle, and watching all of the Golden State Warriors and Jayhawks basketball games she can. Jeannie highly values the relationships that she has built with Playabilities families, and looks forward to seeing how much the kiddos of Playabilities have grown each time she returns to Kansas City. Erica is a Western Kansas native and University of Kansas graduate. Erica has been working in the health/ mental health/ behavioral healthcare fields for the past 20 years in varying capacities, most recently as a mental health/behavioral health case manager. As an advocate for equality, diversity, and inclusivity, Erica is excited to join the Playabilities family. She has been blessed with two amazing daughters and enjoys spending most of her free-time playing with her grandsons. When not working or spending time with her family, Erica enjoys traveling, reading, refurbishing furniture, and attending concerts. Becky has an Bachelor’s Degree in English Literature from Truman State University. She grew up in KC and after living in Milwaukee, St. Louis and Indianapolis working for the same company, she settled back down in KC. She’s spent the last 10 years raising 3 children. She brings a unique perspective to our team – being a parent of a special needs child. She is a strong advocate of play-based therapy for all children. She has a passion for helping families on their parenting journey. She enjoys volunteering at her children’s school, cheering on her kids at soccer, baseball, softball, and girl scouts. Family nights always include pizza and a board game. Mary is a native of Kansas City and attended UMKC. She has a varied background in customer service and medical office administration. She is a proud mom to four children and loves to garden, play golf and read. Mary’s love of children and belief in play based learning and therapy make her very excited to be a part of our team here at Playabilities. Amber has earned an Elementary Education degree from Kansas State University and a Master’s Degree in Occupational Therapy from Rockhurst University. With a passion for pediatrics, Amber spent 13 years as a school-based occupational therapist in the metropolitan area, where she worked with students with a variety of disabilities from early childhood through high school. Amber joined playABILITIES in 2016, and currently holds a position as Lead Therapist at the Leawood clinic.Amber has a variety of continuing education experiences including Autism Specialist Training through KCART (Kansas Center for Autism Research and Training), reflex integration and behavior. She has extensive experience with children with sensory, behavioral and social emotional deficits, as well as fine motor and visual perception delays. Amber is passionate about preparing children, at all ages, with the skills that they will need to be successful throughout their life. Amber and her husband have always lived in the KC area. She has two boys, Bryce and Blake who keep her on her toes at all times. When she is not working, she enjoys watching her sons play sports and spending time with her family. Julie Morrow has a Bachelors Degree, in Human Biology with a concentration in Psychology, from the University of Kansas and a Masters in Occupational Therapy,from Rockhurst University. She is a licensed and registered occupational therapist in Kansas and Missouri. Her primary experience is in pediatrics with special training in Reflex Integration, Bal-a- vis-x (motor program), Zones of Regulation, Social Thinking, DIR Floortime Play (play-based therapy), Fine Motor Skills, Self-Regulation, Behavioral intervention, 504’s/ IEP’s, Sensory Processing, and Executive Functioning. Julie was the founder and owner of Developmental Possibilities LLC, a private pediatric clinic, prior to merging with PlayAbilities for Sensational Kids. Julie is currently the Lead therapist at the Playabilities Satellite Location, inside the Joshua Center for Neurological Disorders. Julie is passionate about community and parent education and frequently speaks publicly on topics of interest (i.e. Motivation, Executive Functioning,Behavior, Sensory Processing, Handwriting). Julie has experience working in schools (6 years), outpatient pediatric clinics (3.5years), homes, daycares, and hospitals. Building relationships is her favorite part of her job and she takes pride in treating the whole child. Julie is the mother of two busy boys and enjoys spending time with her family, going to the lake, and playing Frisbee Golf. The whole family loves physical activity and being outside! Allie earned her Master’s of Occupational Therapy degree from the University of Missouri and has specialized in pediatrics from the start of her career. Allie has previous experience working as an OT in the Shawnee Mission School district and enjoys helping families navigate finding the right blend of therapy for their child in private therapy, and advocating for accomodations in the school. Allie’s areas of expertise include developmental delay, sensory processing disorder, visual and fine motor delays, and handwriting. Natalie graduated from the University of Kansas with her highest degree being a Master of Science in Occupational Therapy. She is a member of the American Occupational Therapy Association and licensed in both Kansas and Missouri. During her clinical rotations, she had the opportunity to learn in a pre-school for children with autism in Australia. This was just the beginning of her passion for working with kids. She has worked full time as a school-based therapist for 12 years and enjoys working at PlayAbilities after school and during the summers. She attended an Autism Interdisciplinary Team Training through “TASN Autism Tertiary Behavior and Supports” in 2016 and has attended various pediatric conferences throughout her years as an OT. Natalie hopes to support and facilitate children’s highest level of functioning within the natural environment. She has experience working with children targeting: fine motor skills, visual perception, leisure skills, social skills, sensory processing, behavior and emotional regulation. In her spare time she enjoys yoga, cooking, cheering on the Jayhawks and spending time with her family and friends..
Kelci earned her Master’s degree in Occupational Therapy from the University of Missouri. She is a licensed OT in both Kansas and Missouri. She has specialized in pediatrics since the start of her career and is passionate about building relationships with the children and families she serves to ultimately make a difference in their daily lives. Kelci strives to provide families with the education, coaching, and supports they need to help their child be successful in his or her daily environment. Kelci has experience working with a variety of populations including Autism Spectrum Disorder, Sensory Processing Disorder, Developmental Delay, and various neurodevelopmental disorders. Kelci has specialized training in working with children with Sensory Processing Disorder. She completed the Advanced Level I Mentorship in evaluating and treating children with Sensory Processing Disorder in April of 2017 at the STAR Center in Denver, Colorado under Dr. Lucy Jane Miller and Dr. Sarah Schoen. Kelci has also completed further training in re-mediating handwriting and fine motor skills in children. Outside of the clinic, Kelci enjoys doing yoga, spending time with her family and friends, and traveling! . Taffeta grew up in the Springfield, MO area and moved to Kansas City to continue her education at the University of Kansas Medical Center, earning her Master of Occupational Therapy degree. Taffeta’s experiences have included clinical rotations through infant and toddler programs, community outreach programs for children with special needs, and teaching swimming lessons to children with autism spectrum disorders. In April of 2017, Taffeta completed the Advanced Level I Mentorship training at the STAR Institute for Sensory Processing Disorder in Denver, CO under the teachings of Dr.’s Lucy Jane Miller and Sarah Schoen. She enjoys teaching sensory strategies and regulation skills, advancing social and emotional development, and promoting independence through play for kids of all ages. She is passionate to provide families with education and training of ways to carry over strategies and skills learned in the clinic to the home, school and community environments. In her free time, Taffeta enjoys running outside with her dog, completing home renovations with her husband, and working for her small business making home decor..
Jennifer holds a Master’s degree from Colorado State University’s Occupational Therapy Program in Fort Collins, CO, and is a licensed and registered occupational therapist in Kansas. She has specialized in pediatrics since the start of her career with experience working in elementary and secondary schools, and most recently private practice. Jennifer has completed additional training in specialty areas, including pediatric self-regulation, sensory integration, handwriting instruction (First Strokes), and secondary transition planning. Jennifer embraces the mission and values of playABILITIES, and strives to use her knowledge and creativity to help children gain independence in activities at home, in school, and in the community. In her spare time, Jennifer enjoys running, DIY projects, and spending time with her family and energetic Goldendoodles, Koufax and Gus. .
Jennafer graduated from the University of Wisconsin with her Master of Science degree in Occupational Therapy. She currently holds a state license to practice in both Kansas and Missouri. She also is a registered, board-certified occupational therapist with the National Board for Certification in Occupational Therapy (NBCOT). Jennafer’s concentration in occupational therapy has been outpatient pediatric practice, with additional experience in private elementary and high schools. She has advanced training in feeding therapy through the SOS Approach to Feeding, as well as training in the DIR/Floortime approach (play-based therapy). Jennafer has worked with children with a variety of developmental, sensory, neurological, genetic, and psychological diagnoses. These have included Autism Spectrum Disorder, Down Syndrome, Cerebral Palsy, Sensory Processing Disorder, Developmental Coordination Disorder, ADHD, Anxiety, and many others. Her areas of emphasis have been feeding therapy, fine motor and gross motor development, social-emotional skills, and sensory processing. For Jennafer, the essence of pediatric occupational therapy is “playing with a purpose.” She is passionate about helping children and their families find joy in every success – big or small – on their journey. Jennafer’s favorite therapy moments always take place when both she and her kiddos are laughing and learning all at once. Jennafer now lives in Kansas City, MO, with her husband. In her free time, she can usually be found outside – biking, hiking, or simply blowing bubbles. Bethany earned her Master of Occupational Therapy at the University of Kansas Medical Center. During her clinical rotations, she gained experience working with adults with developmental disabilities and birth-preschool aged children with visual impairments. While at KUMed, she also completed the LEND program (Leadership Education in Neurodevelopmental Disabilities), which provides interdisciplinary leadership training in areas such as clinical practice, research, and community outreach. Bethany has specialized training in evaluating and treating children with Sensory Processing Disorders. She completed the Advanced Level I Mentorship in evaluating and treating children with Sensory Processing Disorder in April of 2018 at the STAR Institute for Sensory Processing Disorder in Denver, Colorado under Dr. Lucy Jane Miller and Dr. Sarah Schoen. She is passionate about helping children reach their full potential and is excited to work with families at PlayABILITIES. In her spare time she enjoys cheering on the Jayhawks, playing music, hiking, and spending time with her family and friends. Mary grew up in the Kansas City area but moved to Nashville, TN to earn her Doctorate of Occupational Therapy from Belmont University. Throughout her education, Mary gained experience in multiple pediatric settings including outpatient clinics, schools, infant toddler early intervention programs, and equine assisted occupational therapy. She is passionate about helping kids be kids and reach their full potential through play. Mary has specialized training in evaluating and treating children with Sensory Processing Disorders. She completed the Advanced Level I Mentorship in evaluating and treating children with Sensory Processing Disorder in April of 2018 at the STAR Institute for Sensory Processing Disorder in Denver, Colorado under Dr. Lucy Jane Miller and Dr. Sarah Schoen.In her free time, she enjoys hiking, reading, watching sports, trying new restaurants, and spending time with her family, friends, and pets. Christy earned her Master of Occupational Therapy degree through Rockhurst University. Her experiences as an occupational therapist have been across acute care hospital setting, schools, NICUs, and most recently, private practice. Christy’s passion is working with children in an outpatient therapy setting. She loves to collaborate with families. In her free time, she greatly enjoys spending time with her family and attending Sporting Kansas City games. Megan Hoffman graduated with her Bachelor of Liberal Arts and Sciences degree in Occupational Studies, or Pre-Occupational Therapy, from the University of Kansas in 2011. She continued her education as a Jayhawk at the University of Kansas Medical Center, earning her Master in Occupational Therapy in 2013. Megan is currently in her 3rd year of practice as a licensed occupational therapist. She has spent the last 3 years working for a local school district at the elementary level with a case load consisting of students in the general education setting and in center-based programs with a focus in Developmental Delay, Autism, and Sensory Processing. Although Megan’s primary background is in pediatrics, she also enjoys working with adults and has experience working with a local hospital in acute care, inpatient rehab, and orthopedics. While in occupational therapy school, Megan co-presented a poster presentation at the AOTA national conference titled “Preparing for Practice in the Ever-Changing Health Care Environment through Service Learning Innovations” in 2012 and served as the School of Health Professions Student President in 2012. Elease grew up in Bellevue, Nebraska and moved to Kansas City to continue her education at Rockhurst University, earning a Master of Occupational Therapy degree. Elease completed a clinical experience at Playabilities satellite location as a student and is very excited to continue her pediatric experiences with Playabilities. She is passionate about building relationships with children and their families while assisting them achieve their goals. In her free time she enjoys spending time outside, walking dogs at Wayside Waifs, trying new restaurants, and spending time with friends. Steph graduated with a Masters in Occupational Therapy degress from the University of Kansas Medical Center. She has always had a passion for working with children, and currently is a full time occupational therapist through a local school District. Steph loves to provide therapy after school hours and seasonally during the summers at Playabilities. She loves the diversity between treating children in both the school and outpatient settings. Eryn graduated from the University of Arkansas with a bachelor’s degree in Kinesiology and then recieved her Masters in Occupational Therapy from Rockhurst University. She has several diverse experiences working in pediatric settings including MO First Steps, elementary school, The Children’s Place, and Kid’s Therapy Team in Fayetteville, Arkansas. Eryn has specific interest working with children with Autism and sensory intregration disorders, stroke rehabilitation, and NDT with pediatrics and adults. In her free time, she enjoys traveling, concerts, sports, and trying new food. Johnnea earned her Master of Occupational Therapy degree at the University of Kansas Medical Center. Throughout her clinical rotations she was able to gain experience working with children of a variety of ages, abilities, and backgrounds. During the school year Johnnea works within a local school district. Her passion is to help children work toward their goals and grow in any way possible. Johnnea loves to spend time with her family, play team sports, and watch movies. Taylor graduated from Kansas State University with a Master’s degree in Speech-Language Pathology. Throughout her career as a Speech-Language Pathologist, Taylor has gained experience working with a wide range of clients, ranging in ages 6 months to adult within the school and inpatient rehabilitative setting. Once completing her degree, Taylor worked at an Early Childhood Special Education program for 3 years, while also providing private speech and language services to families. Taylor has experience diagnosing and treating speech and language disorders for typically developing children, as well as children of special populations secondary to Down Syndrome, Autism Spectrum Disorder, Cerebral Palsy, neurogenic disorders (i.e., Childhood Apraxia of Speech and Dysarthria), and genetic disorders. She has experience with interventions targeting receptive and expressive language skills, articulation and phonological delays, early literacy skills, fluency, social-emotional skills, and Alternative and Augmentative Communication devices. She has also had extensive experience providing feeding therapy to children of various ages and diagnoses. Working with children in the early childhood setting as well as her previous experiences in various settings, has taught her a lot about how successful therapy can be when a strong team is in place for the child. She greatly believes in the importance of early intervention, creating a strong functional communication system, family involvement, and the power of play. Jessica received her undergraduate degree at the University of Minnesota-Twin Cities. Following that, she took a year off to gain pediatric therapy experience and served as a para-educator for a year as well as gained experience with formulating and carrying out plans to help adolescent children with ASD gain social skills in various community environments. Jessica then moved to Kansas City to obtain her Master’s degree in Speech Language Pathology from Rockhurst University. Jessica’s work experiences have expanded across multiple therapeutic environments including working with school-aged children, preschoolers, and adolescents. 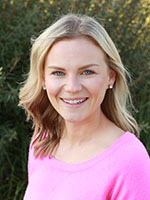 Jess has completed continuing education experiences related towards implementing the Early Start Denver Model (ESDM) and has a passion for implementing play-based therapy. She loves working with kids and continuing to learn new things every day at Playabilities. Jess is a mother of three children, Mason, Brody, and Adelyn. She enjoys spending time at baseball games, football games, basketball games, swimming lessons, and gymnastics/dance events. She spends most spring and summer weekends at baseball tournaments as her husband is coaching her oldest son’s baseball team along with two sports in high school. Shalinn discovered Speech-Language Pathology as a undergraduate student at Kansas State University and pursued it after realizing that it combined her love of English and science. Upon finishing her graduate work, she focused her continuing education on assessment and intervention for children and young adults with Autism Spectrum Disorders. She has worked with kids aged 2 through adults in schools in both Kansas and Missouri, overseas, in homes, and in private clinics. She’s received additional specialized training in Applied Behavior Analysis/Verbal Behavior, received certification for implementing the Sequential Oral Sensory feeding therapy approach in April, 2017, and has evaluated and secured funding for Alternative and Augmentative Communication Devices. he recieved her first Aware for Continuing Education from the American Speech-Language Hearing Association in September of 2017. She frequently works with those with Autism, Down Syndrome, articulation and language delays, apraxia of speech, and fluency disorders. Shalinn loves for her clients to meet their goals, and become independent, socially successful communicators. Shalinn enjoys playing piano, singing, and writing music in her spare time. She teaches beginning piano students when she can, and volunteers with her local church congregation. She’s a devoted St. Louis Cardinals and K-State Wildcat fan and enjoys hanging out with her husband and friends. Emily is a Kansas state and American Speech-Language and Hearing Association licensed Speech-Language Pathologist. She received her undergraduate degree in Speech-Language-Hearing: Sciences and Disorders at the University of Kansas. Her graduate degree in Communication Disorders was received from the University of Texas at Dallas. Emily has spent six years working as a Speech-Language Pathologist in the public school system; she worked two years in Plano, TX and four years in Olathe, KS. She has experience working with children ages 3-12 with a variety of needs: articulation, expressive and receptive language, social communication, Down Syndrome, Autism Spectrum Disorders, and Augmentative and Alternative Communication. Courtney holds a Master’s degree from Rockhurst University in Speech-Language Pathology, and a Bachelor’s degree in Communication Science Disorders from the University of Missouri-Columbia. Courtney has experience working with children ages 2-21 with a variety of speech and language disorders. Her experiences include working in elementary school, hospitals, preschools, and private clinics. She specializes in receptive and expressive language disorders, articulation, social communication delays, and a wide range of developmental disorders. Courtney strives to make each therapy session individualized, motivating, and fun for every client. Family-centered therapy is Courtney’s passion. Courtney loves to be with friends and family, especially her 3 nieces. She enjoys being outside and exploring new places in the Kansas City area. Victoria is a Kansas State and American Speech-Language and Hearing Association licensed speech-language pathologist. She received her undergraduate degree in Human Development and Family Studies and a Master’s degree in Communication Disorders from Auburn University. Since completing her degree, Victoria has been serving young children, ages 3-9, in a school-based setting. Victoria has had experience working with children with a variety of needs. In her spare time, she enjoys spending time with her husband, Seth, and her dog, Olive. She loves to spend time outdoors and playing tennis. Sarah is a Kansas City native who graduated with her Master’s degree in Speech-Language Pathology from the University of Kansas, and her Bachelor’s degree in Communication Sciences and Disorders from Kansas State University. Throughout her education Sarah has gained prior clinical experience working in a variety of settings with patients throughout the life span, including elementary and high schools, inpatient acute care and rehab, the NICU and infant toddler services. She has also particularly enjoyed her time serving on augmentative and alternative communication and cleft lip and palate teams. She believes strongly in the importance of functional communication and family centered therapy. When Sarah is not working, she enjoys traveling and hanging out with her friends, family and dogs. Erica holds a Master’s degree from Kansas State University in Speech-Language Pathology. She has gained years of experience providing therapy to children and adults with a wide range of needs and involvement including Autism Spectrum Disorder, Cerebral Palsy, Traumatic Brain Injury and a variety of visual impairments. She currently works full-time at the Children’s Center for the Visually Impaired working with the early childhood population. Erica has experience treating a variety of skills including feeding, Alternative and Augmentative Communication, receptive and expressive language disorders, articulation and phonological delays, vision specific language needs and social-emotional skills. Erica is strong believer in making sessions motivating and fun for each child she sees. She works hard to put family education and team collaboration at the center of every intervention. Erica is a Kansas City native that enjoys spending her free time with her husband, family and friends, and their dog. Nicholle recieved her undergraduate degree in Communication Sciences and Disorders from Western Washington University and completed her graduate degree in Speech-Launguage Pathology through the University of Utah. She has experiences working with children from infancy through adoescents within a variety of speech, language, and social skill needs. In her free time, Nicholle enjoys dancing, reading, and hiking. Nicholle moved to the Kansas City area from Portland, Oregon in June 2018 and enjoys exploring her new city! Danielle attended Kansas State University where she graduated with honors with her bachelor’s degree in communication sciences and disorders. She then earned her master’s degree in speech-language pathology at the University of Kansas. Danielle has spent the last ten years working for a local school district where she provided speech-language services to children ranging in age from pre-K through 12th grade. In 2011, she was awarded “Master Teacher of the year” from her school building for her work in special education. Danielle is a licensed speech-language pathologist with experience providing therapy to children with speech-language delays, learning disabilities, Autism, social skills deficits, cognitive impairments, developmental delays and ADHD. Sarah holds a Master’s degree from Rockhust University in Speech-Language Pathology, and a Bachelor’s degree in Communication Science Disorders from Missouri State University. Sarah is currently in her tenth year working for a local school district where she provided speech-language services to children ranging in age from Kindergarten through 12th grade. She is a licensed speech-language pathologist with experience providing therapy to children with speech-language delays, social communication, Down Syndrome, Autism Spectrum Disorders, and Augmentative and Alternative Communication. In her free time, Sarah enjoys trips to Disney world, the happiest place on earth, with her family and spending quality time with her cats, Steve and Evie. Luke holds his doctorate of Physical Therapy degree from the University of Kansas School of Medicine in Kansas City, KS. He is a licensed physical therapist in both Kansas and Missouri. His areas of expertise include pediatric rehabilitation including NDT facilitation, manual therapy techniques, vestibular and balance rehabilitation, and young athlete rehabilitation. Luke also works at Wyandotte Count Infant-Toddler Services, specializing in infants to 3-year olds. He has served an autism diagnostic team administering ADOS (Autism Diagnostic Observation Schedule) and CARS (Child Autism Rating Scale) testing, while also providing therapies to children with autism. Luke has received training in family centered care, vision rehabilitation, torticollis therapy, NDT muscle facilitation, orthopedic rehab, feeding techniques, and orthotic implementation. He knows the importance of providing parents with understanding, as well as home treatment strategies for best success. Luke has always enjoyed the enthusiasm of children and feels lucky to help all kids achieve their best ability in order to play and interact with their peers. He enjoys taking trips to the mountains or lake with his wife and exploring Kansas City. He keeps active by hiking, playing softball, fun runs, and taking his dog to Shawnee Mission Park. Luke prides himself in being an “alt-athlete” and is always ready for a challenge in ping-pong or foosball. Tara earned her Master of Science in Physical Therapy degree from the University of Kansas Medical Center and began her career by specializing in pediatrics right from the start. After spending nearly six years in the natural environment, developmental preschool and school district settings, she dedicated the next 8 years to being a full-time mom. She now joins our private practice and brings with her a wide-range of experience with a variety of diagnoses. Tara has specialized training in sequential development in kids ranging from birth to 21 years of age, but her primary focus is early childhood. She is passionate about children and helping them realize their fullest potential, dedicated to building strong rapport with families, and feels blessed to work with such gifted individuals. When Tara is not working, she can be found playing with her girls, volunteering (at church and her girls’ school), antique shopping, decorating, or spending time with the love of her life, Chad. Jenny earned her Doctor of Physical Therapy degree at Rockhurst University in Kansas City. After she received her degree, she moved to St. Louis, where she worked as a pediatric physical therapist in early intervention and in a pediatric outpatient clinic. Jenny and her husband moved to Kansas City in April 2017. She continues to work in early intervention in the home setting through Missouri First Steps and now joins our team. Jenny has experience with a wide variety of diagnoses and age levels. She enjoys working with children and helping them feel more strong and confident in their bodies as they make progress with their gross motor skills. She believes that therapy continues beyond the clinic and works hard to involve the whole family, making it as functional and achievable as possible. Kayla received her Doctor of Physical Therapy degree from The University of Kentucky in Lexington, Kentucky. After four years of employment at The University of Kentucky’s neonatal ICU and part time work with First Steps and outpatient pediatrics, she has relocated to Kansas City to begin a life with her new husband! She has a strong background working with medically fragile infants, torticollis and head shaping, positioning to improve success with feeding, neurological rehabilitation, oncology therapy, post surgical recovery, and early developmental intervention. She is certified in Manual Lymphatic Drainage (MLD) to address generalized edema, post surgical edema, venous insufficiencies, chronic pain, and headaches. Kayla values a family-centered approach and believes that the best outcomes are achieved when the family, medical staff, and therapists work together as a team. She is passionate about building a strong relationship with everyone she has the privilege to serve and is grateful to have the opportunity to work with such extraordinary children and families. Outside of offering therapy services, Kayla enjoys hiking with her husband, running, spending time with her rescue dog, traveling, and anything outdoors! She has run two full marathons, nearly two-dozen half marathons, and has traveled to seventeen different countries (and counting!). She loves exploring and trying new things, but most of all loves watching children conquer goals and reach their highest potential. Lane earned her Bachelor’s degree in Music Therapy at the University of Kansas. She has specialized in early childhood since completing an internship with Unity Community Options of Miami. Lane believes that each child has a birth right to engage in musical experiences while learning new skills, as music is a part of everyday life. She strives to provide a wide range of experiences with opportunities for each child to participate and learn successfully. Lane has experience working with a variety of populations including children with Autism Spectrum Disorders, Intellectual Delay, Developmental delays, Cerebral Palsy, and Down Syndrome.